The BakerStone pizza boxes work using convective, conductive, and radiant heat. This allows your pizza boxes to heat evenly as the box takes the heat and disperses it throughout the whole box. Get a better understanding of how the pizza oven boxes from BakerStone work! See how different kinds of heat are used and how they spread to evenly heat your pizza oven boxes. For a perfectly cooked pizza in your Bakerstone pizza box, check out these simple instructions. 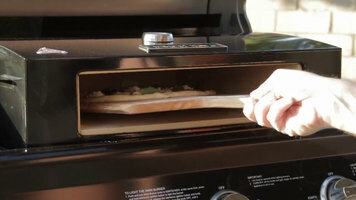 See how to assemble your BakerStone pizza oven box. Every step is carefully explained and demonstrated to ensure a hassle-free assembly. 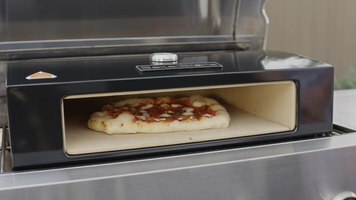 The BakerStone pizza oven box is a fast and efficient way to make gourmet pizzas. All you need is a grill and you are ready to bake delicious pizzas in less then 5 minutes!